Dr. Scott Fannin has been writing professionally since 2002. His articles appear in “WebMD”, “The American Journal of Managed Care” and “American Medical News.” He obtained a bachelor's degree in physiology from Washington State University and Doctor in Osteopathic Medicine from Pacific Northwest University of Health Sciences. Sleeping pills are central nervous system depressants. Most tranquilizers and sleeping pills belong to a class of medications called benzodiazepines. The U.S. Food and Drug Administration has approved hypnotics, a class of psychoactive drugs, in the treatment of sleep and anxiety disorders. Sleeping pills depress the nervous system and cause drowsiness. However, in larger doses, they can cause unconsciousness, says the Alberta Health Services. Every sleeping pill has a “hangover” effect that reduces both neural output during sleep and enzymatic activity in the day. We feel drowsy, less attentive and sleepy during the day, since our bodies metabolize these drugs at a lower rate. 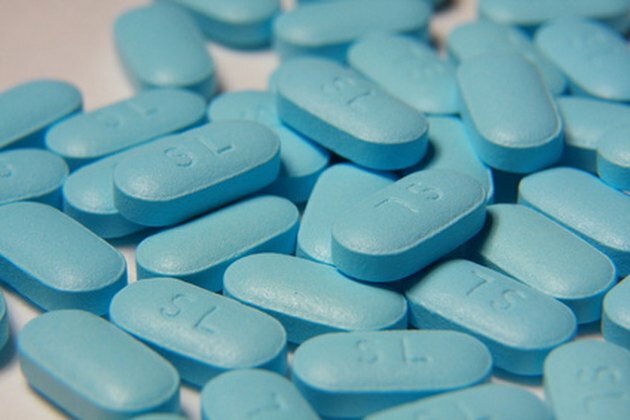 As the dose increases, sleeping pill produces impairment of cognitive functioning and psychomotor performance, such as judgment, speed and accuracy, according to the Alberta Health Services. Sleeping pills could be hazardous to your health because they tend to relax the muscles in the throat and interfere with breathing. An overdose of sleeping pills can also cause sleep apnea, a breathing obstruction, according to the UC San Diego Health System. Physicians also suspect sleeping apnea to be a leading cause of death during sleep. A sleeping pill overdose can kill a person within a few minutes from the lack of oxygen in the lungs, notes the UC San Diego Health System. Sleeping pills bind to GABA receptors, which are the most common class of receptors found on the surface of nerve cells in the central nervous system (CNS). These sensory GABA receptors respond to a chief inhibitory neurotransmitter of the CNS, called gamma-aminobutyric acid. Sleeping pills work by stimulating the activity of the nerve transmitter gamma-aminobutyric acid that subsequently increases the permeability of negatively charged chloride ions to the nerve cells. As a result, the inside of the nerve cell becomes more negatively charged with respect to the outside, inhibiting further activity. The nerve cells no longer stimulate the muscles of breathing, depriving you of oxygen.